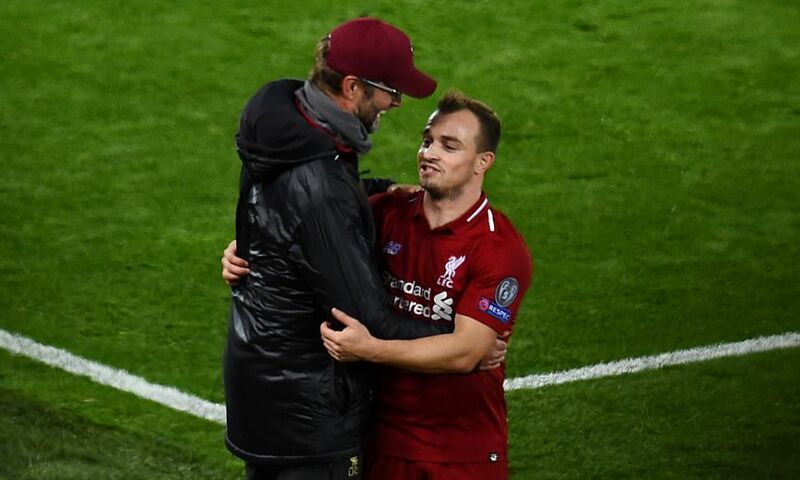 Liverpool resume their Champions League campaign next week with Xherdan Shaqiri grateful for the opportunity to perform on Europe's biggest stage again this season. The Reds top Group C at its halfway point and will aim to build on their position when they face Red Star Belgrade away from home on Tuesday night. Shaqiri was part of the Bayern Munich squad that lifted the European Cup, at the expense of Jürgen Klopp’s Borussia Dortmund, at the end of the 2012-13 campaign. And the attacker is determined to make the most of another opportunity to shine in the Champions League as he finds his feet with Liverpool. “I think I am settled now and showing my best form,” Shaqiri told the Daily Mirror. “It takes time for me to understand what the coach wants and also for my teammates to understand me. I am getting more minutes on the pitch now and I feel I am getting better. “It’s great being back in the Champions League. This was what I wanted. It’s an unbelievable feeling for me to be at this level after what happened at Stoke last season.